Waterproof TAM insert paper in white. 30 sheet pack of loose leaf 'Filofax' type paper. Recommended for use with UK Military Issue TAM Folders. 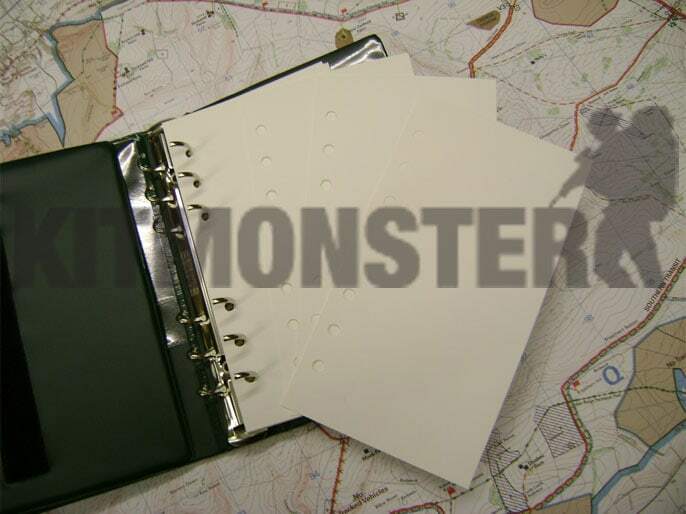 Pre punched to the same size as an issue TAM folder, these sheets are the same size as the issue TAM inserts. Also compatible with our Rite in the Rain Field Binders. Each sheet measures 17.5 x 9.5cm. Pre punched for a 6 hole ring binder. This paper is not suitable for use with laser printers. Ring binder for illustration only, map as background, neither are included.